While superficially there appear to be no two people more different than Barack Obama and Andrew Schlafly, they have led strangely parallel lives. They attended Harvard Law School at the same time, and both graduated with honours. They both had aspirations for an academic career lecturing on law, before turning their respective attentions to a run for elected office. But somehow now, as of March 2009, one is President of the United States, while the other is an underachiever in a church basement teaching homeschooling students that humour did not exist before Jesus - but afterwards catapults and battering rams were used in battle for lulz. Came from a well-to-do St. Louis family. Offered position as a law clerk by an unnamed Supreme Court Justice, a coveted job that nearly 100% of all offerees accept. Teacher of a couple dozen underachieving homeschoolers with the spurious claim of being "the world's largest pre-college class on American History"
Dreams from My Father: A Story of Race and Inheritance. Three Rivers Press. 1995. The Audacity of Hope: Thoughts on Reclaiming the American Dream. Crown Publishing Group. 2006. Barack Obama in His Own Words. Public Affairs. 2007. Contributor and head administrator of an online far-right ultraconservative fundamentalist Christian blog masquerading as an encyclopedia. Winner of RationalWiki's 2009 Conservapedia Day Award for "President of the Harvard Law Review's Participation Award for Delusions of Grandeur". Received 69,456,897 votes in the 2008 Presidential election. Approximately 2,000,000 came to see his inauguration. Crain's Chicago Business named Obama on its "40 under Forty" powers to be in 1993. Interviews with him are highly sought after by some of the largest names in international journalism. Received 1426 Points in Contest 4! PZ Myers named Schlafly a "blinkered pudyanker"
Interviewed by his mother and Stephen Colbert. ↑ Schlafly has not provided any documentation to RationalWiki to verify these credentials. So it is 99% certain that they are bogus as less than 1% of the population have both of these degrees. ↑ A full-time volunteer position functioning as editor-in-chief and supervising the Law Review's staff of eighty editors. 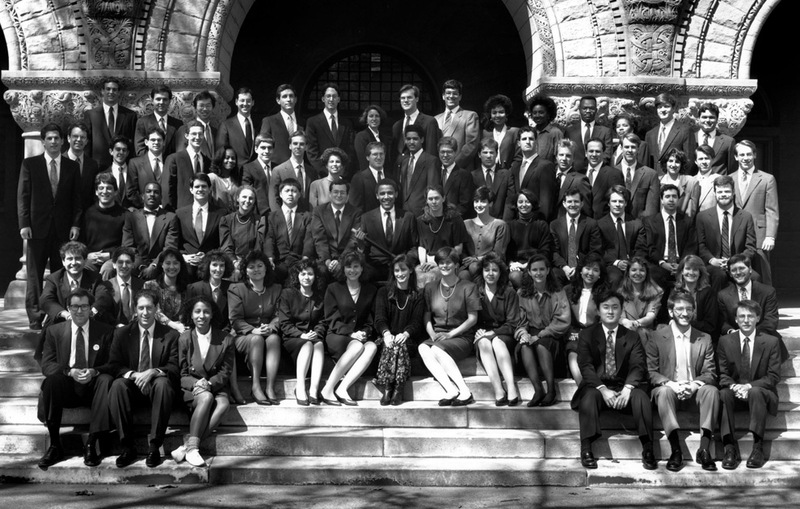 ↑ 5.0 5.1 Photo of Harvard Law Review Board Obama, center of photo holding the mace of office. Schlafly, second row from top, second in from the left. ↑ Yes that is right, Obama was Andy's supervisor! Can't you just imagine Andy, after yapping pointlessly and incessantly in an editors' meeting, getting chastised by Obama, "Start making some quality edits. You're not fooling any of us here with your talk, talk, talk. Make some contributions to the Review or leave." ↑ And in 2008 he won Virginia, taking it away from the Republican party for the first time in 40 years. ↑ He started writing this book at Harvard, and it eventually grew into an autobiography. ↑ The winner was Ed Poor... See our debate page. ↑ Federal Election Commision - 2008 Official Presidential General Election Results. This page was last modified on 8 May 2017, at 18:23.